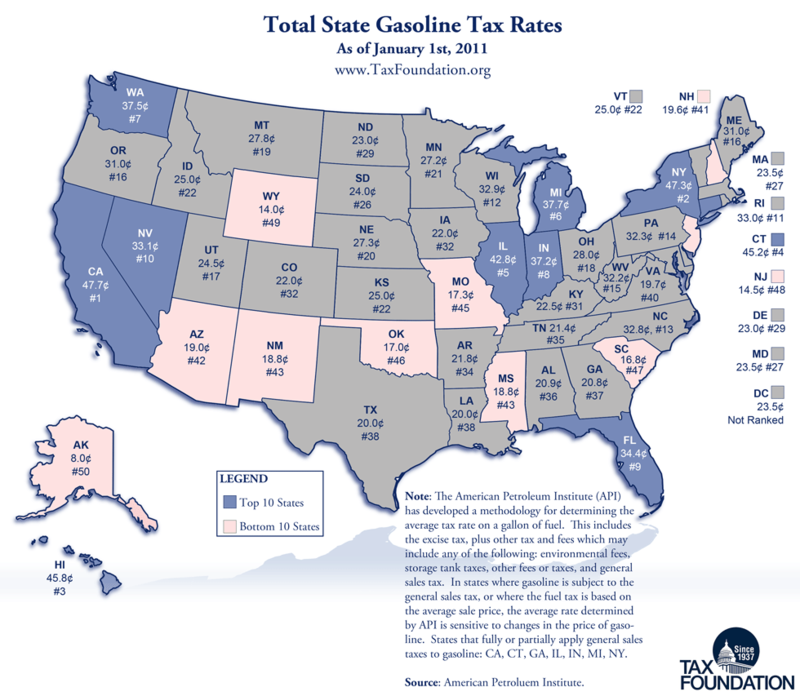 Today’s Monday Map shows total state gasoline tax rates. This includes the base excise tax, plus an assortment of other taxes and fees that affect the price of gasoline. Click to view the full size version.